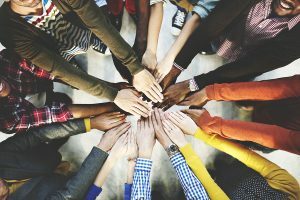 National Origin Discrimination Category Archives — New Jersey Employment Lawyer Blog Published by New York Emplyment Law Attorney — Hackensack Employment Lawyer — Rabner Baumgart Ben-Asher & Nirenberg, P.C. Last month, the United States Equal Employment Opportunity Commission (“EEOC”) issued a new Enforcement Guidance regarding national origin discrimination under Title VII of the Civil Rights Act of 1964 (“Title VII”). Earlier this month, New Jersey’s Appellate Division ruled that it is improper to present a jury with evidence regarding “after-acquired evidence” until after it has determined that an employer violated New Jersey’s Conscientious Employee Protection Act (CEPA). CEPA is New Jersey’s whistleblower law. After-acquired evidence is when a company learns during a discrimination or retaliation lawsuit that the employee did something while he worked for the company that would have been grounds for firing him. If the employer can prove it would have fired the employee based on the new evidence, the employee’s damages for lost salary and benefits are cut off from the date on which the employer learned the new information. Even when it applies, the after-acquired evidence defense does not prevent an employee from proving a wrongful termination claim, does not impact damages for salary and benefits the employee lost before the employer discovered the wrongdoing, and does not limit damages for emotional distress damages in any way. It only cuts off damages for lost salary and benefits starting from the date on which the employer discovered the new information.